High levels of copper and other mineral imbalances including high calcium, low magnesium can result in the debilitating, chronic pain symptoms of fibromyalgia. Fibromyalgia effects millions of people, especially women which make up 9 out of 10 of those with fibromyalgia. Fibromyalgia is a syndrome that involves widespread pain in the muscles and joints. In 1990 the American College of Rheumatology published its criteria for diagnosis of fibromyalgia syndrome (FMS) as an official diagnosis. The World Health Organization recognized Fibromyalgia as a real illness, accepting the American College of Rheumatology’s criteria for diagnosis, in 1991. Prior to that time it had been known by other names including fibrositis and rheumatism. At this time the cause is unknown and there are no completely accepted treatments though many drugs are prescribed to ease the symptoms. Fibromyalgia is a common chronic widespread pain condition with tenderness at specifically defined points. Pain is often felt very intensely throughout the body because the brain amplifies the pain signals. Often the symptoms will trigger after a physical trauma like a car or other accident or after an emotional trauma. Fibromyalgia is thyroid related or viral related or hormonal related. Thyroid dysfunction can be linked to fibromyalgia and thyroid hormone resistance. Trauma, infection or stress can aggravate or tip susceptible individuals into fibromyalgia but are not the basic causes. Fibromyalgia symptoms can intensify depending on the time of day — morning, late afternoon and evening tend to be the worst times. Symptoms may also get worse with many factors. This includes fatigue, tension, inactivity, changes in the weather, cold or drafty conditions, overexertion, hormonal fluctuations such as before your period, or in menopause, stress or other emotional factors like grief or trauma. 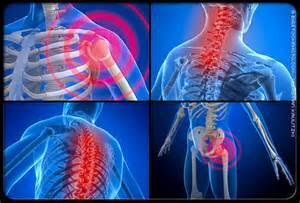 Many people report that their fibromyalgia symptoms started after a car accident. There is a often strong correlation to those high in copper with other altered minerals and heavy metals relationships than can trigger symptoms of fibromyalgia. Doing a hair test will inform you of your exact mineral status and help you determine our level of copper as well as other nutrient imbalances. Once these are corrected with nutritional rebalancing, the symptoms of fibromyalgia can be reduced. Hypoglycemia Syndrome: This is a separate entity. Thirty percent of female and twenty percent of male fibromyalgics suffer both conditions (fibroglycemia). Symptoms greatly overlap those of fibromyalgia, but sugar craving accompanied by tremors, sweating, anxiety, panic attacks, heart pounding, faintness, and frontal headaches, especially if hunger induced, are solid clues to the diagnosis. Clinical tests are proving malic acid to be a great asset in the treatment of fibromyalgia and chronic pain. In one clinical study, reported in “The Journal of Nutritional Medicine,” 15 patients (aged 32-60) taking a dosage of 200-2400 mg. of malic acid with 300-600 mg of magnesium for four to eight weeks, reported significant pain relief within 48 hours. These positive effects continued to increase over the test period. If takinga malic acid and magnesium supplement, it is suggested that it is best to start with 600 mg malic acid combined with 150 mg magnesium twice a day. Over time, this can be increased to as much as 1200 mg malic acid and 300 mg magnesium.